I am crushing on these jeans! Love the floral trend in very specific options. Like any print, a little goes a long way. @Chi-town girl - Can't wait for the 16th to see these pants. Are you getting them? I finally got the sizing right on the blouse. They were huge! I ended up with a size six. Sorry to lead you to wrong sizing. This cut was different from the last one and definately cut larger. Love 7 for All Mankind! Happy Valentine's Day!!! Of the 3 shopping channels, HSN is killing it this season with some fantastic new Spring items. @illinois8 - Happy Valentine's Day I ended up cancelling my order for the new blouse. Adore the LTS blouse. Thank you for the updated sising info, will be looking to pick up the new blouse later, hopefully on reduced $. 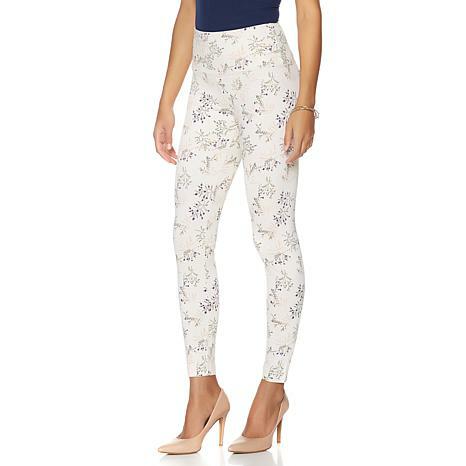 I do like the floral pants, but is there also a jean or slim pant floral too? I going to get a floral jean or slim pant. Happy to see so many options.